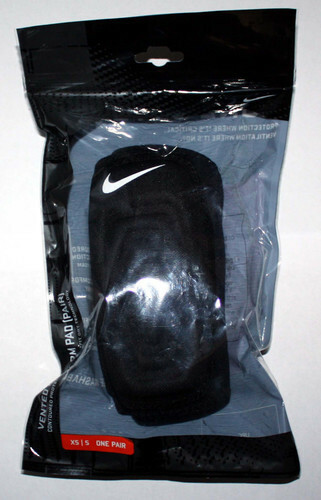 The Nike Vented Forearm Pad features moisture-wicking, breathable fabric that releases heat and helps keep you dry and comfortable. Molded neoprene with elbow flex inserts helps protect against turf burns and moves naturally with your arm. Contoured padding conforms to the elbow and forearm. Dri-Fit Technology: Moisture-wicking, breathable fabric releases heat and helps keep you dry and comfortable. Close stretch fit, won't shift or bind during play. Tri-bolt branding symbolizes aggressive Nike football.